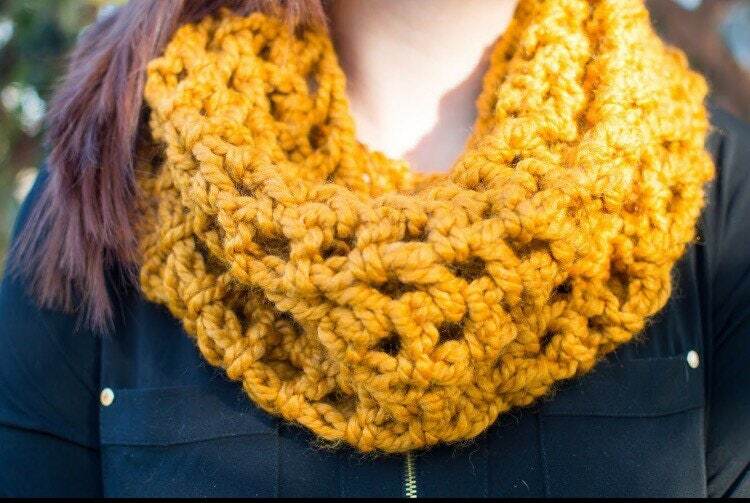 Cowl Neck cozy scarf in mustard. Warm and cozy! 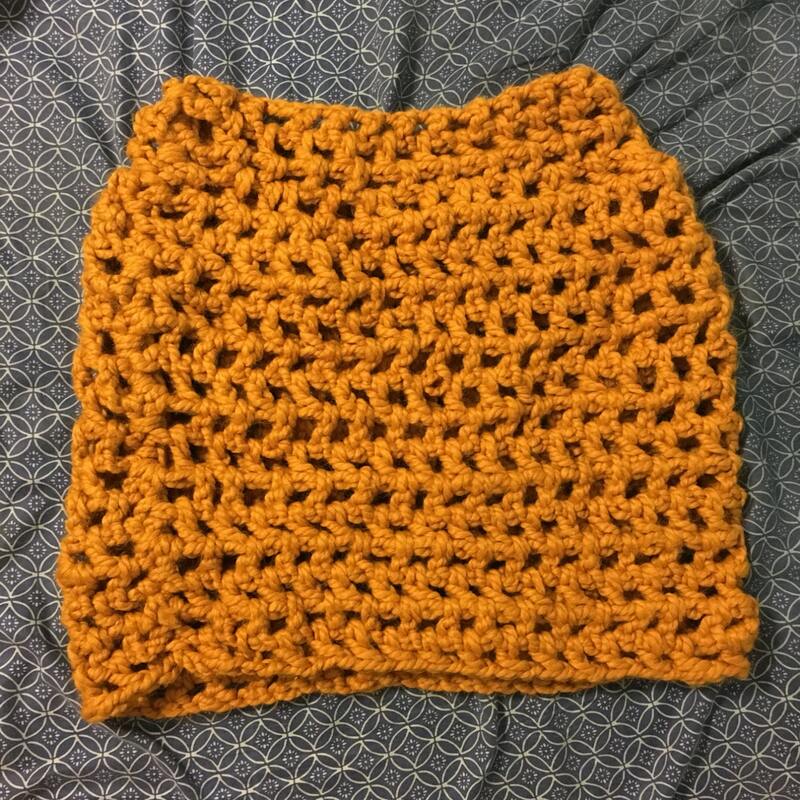 Measures approx 14 inches long.